Sometime in the late 20th century a man in Boston said to himself, “Winter’s over and it’s time to play!” So he went back to the game, the pick-up game, the one played every Spring-Summer-Fall between the softball fields at Cleveland Circle. Every now and then the same argument would break out with cries of “Goal” and “No Goal”. Eventually one side would concede but there were always doubts. Then one day after a game with several disputed goals, an idea with a picture formed itself over the man’s head. 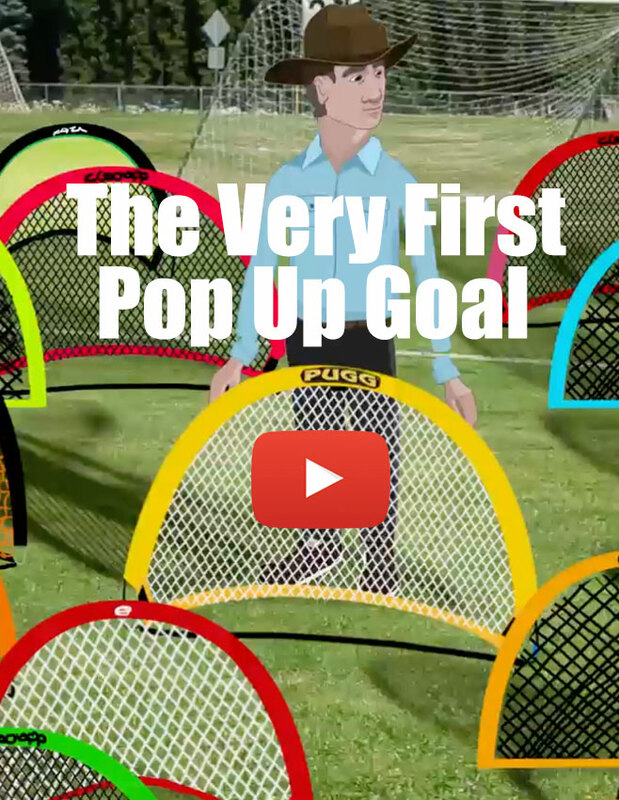 The caption under the picture read, ‘pick-up-game-goal’ and the man built the idea and branded it PUGG®. He took it to his friends at Cleveland Circle. Then he took it to the world.